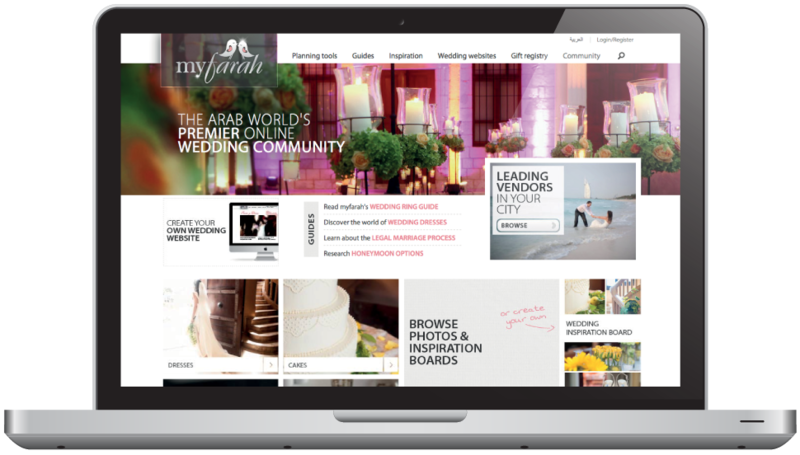 Myfarah is the ultimate wedding resource that guides its customers through each and every step of the wedding process. 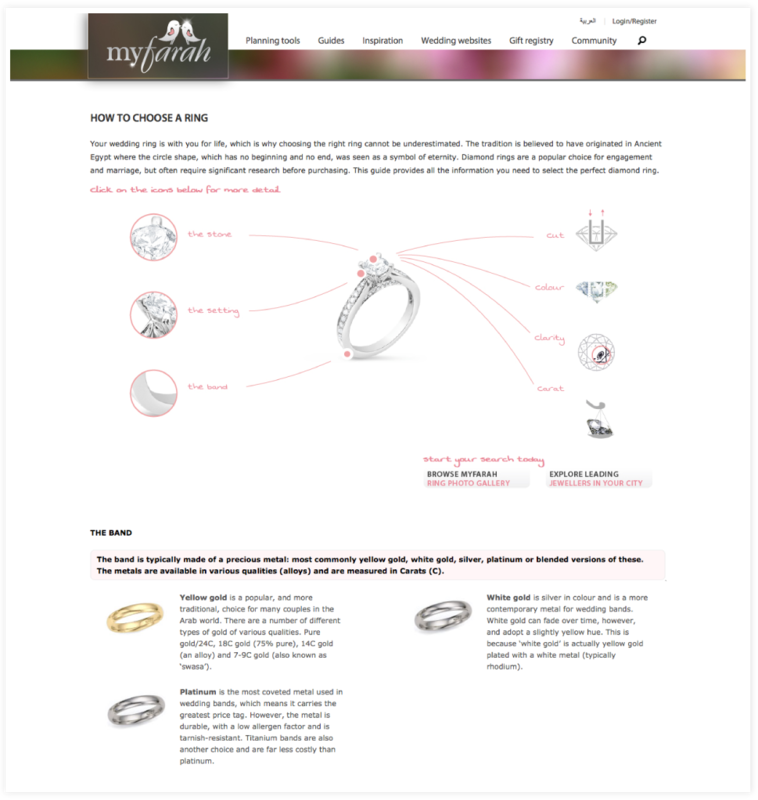 Since the website is mainly meant for target women, we went with a color combination of pink and white with black fonts. The design is geared towards giving out a lively and happy vibe with lots of colorful pictures and text that add both functional and aesthetic value. Keeping the 5-second rule in mind (new websites have a total of 5 seconds to grab the user’s attention), we made sure to state the website’s purpose and USP on the homepage above the fold with a descriptive banner and text. Further down there are quick links to guides, photo galleries, vendor directories, and a lot more. 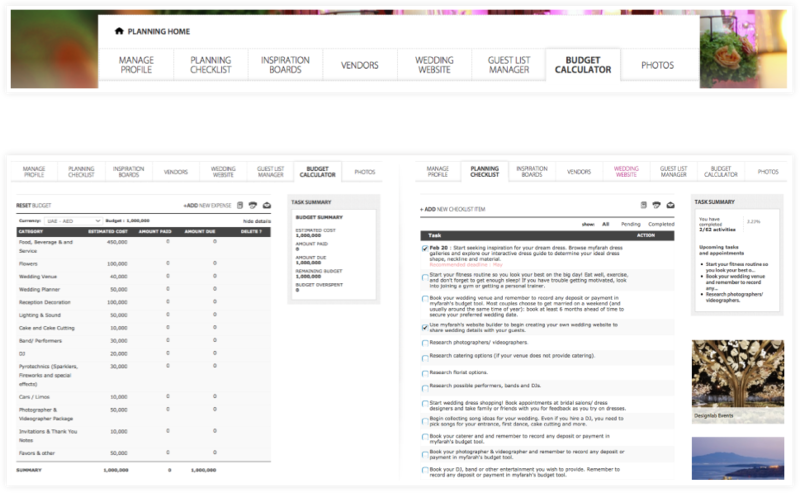 From a usability perspective, the usability team at Cactimedia thought through the whole process and did a great job with how the information is structured. The top menu bar makes it easy to reach various sections of the website with ease. An elaborated footer area too provides helpful quick links.